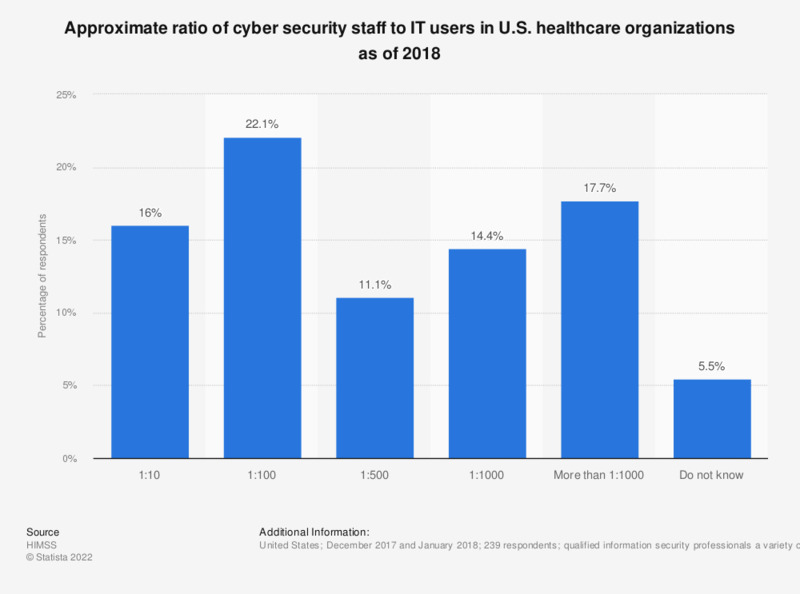 This survey depicts the approximate ratio of cyber security staff to IT users in responding healthcare organizations in the U.S. as of 2018. According to the survey, 11 percent of respondents stated that their organizations have one cyber security staff member on every 500 IT users. Original question: "What is the approximate ratio of cybersecurity staff to IT users in your organization? Please choose the best answer."